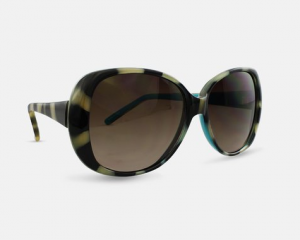 Liz Claiborne Villager Oversized Sunglasses Only $5.99 SHIPPED (Reg. $59.99)! You are here: Home / Great Deals / Liz Claiborne Villager Oversized Sunglasses Only $5.99 SHIPPED (Reg. $59.99)! Wowza!! Right now, you can snag a pair of these fab Liz Claiborne Villager Turquoise Zebra Oversized Sunglasses for only $5.99 SHIPPED (reg. $59.99)! This deal is good through 7AM 8/26 PST so hurry on over here to grab ’em!